FORMER Vice President Â of Nigeria Labour Congress, NLC, and General Secretary, National Union of Garment and Textile Workers of Nigeria, NUTGTWN, Comrade Issa Aremu, has warned that the greatest threat to the country’s unity is the widening gap between the rich and the poor in the country. Speaking Saturday in Kaduna at the Annual General Conference of the Committee for the Defence of Human Rights, Comrade Aremu said it was time for civil society and human right organizations to organize and “march against this inequality” saying that “animals are more secure in Nigeria than Nigeriansâ€�. “The greatest threat to our unity is the increasing gap between the few who are wealthy and the majority who are very poor. As labor union and civil society organizations, we must begin to organize to march against this inequalityâ€�, he said, adding that the increase in the rate of crimes in the country is attributable to this widening gap. 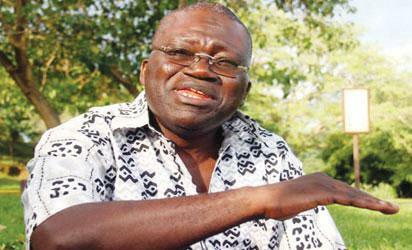 Comrade Aremu also decried the worsening security situation in the country. The labour leader enjoined Nigerians, especially members of the civil society organisations and labor, to “stop agonizing and start organizing for the sack of any security official where insecurity is rampant. Speaking on the proposed bill to curb the activities of Civil Society organisations, Comrade Aremu said “we must resist any attempt to gag civil society organisations because they are the souls of Nigerian society. The state actors of today must realize this. What is needed is for the civil society organisations to be transparent and accountable”. Earlier in his remarks, the chairman of the CDHR, Barrister Malachi Ugwummadu, said the Conference with the theme, “Situating Human rights issues within the context of Restructured and Functional Democracy in Nigeriaâ€�, was designed to provide a broader platform for “further interrogation of the Nigerian state in relation to the pressing concerns of restructuring or functional democracy and the imperatives of human rights concerns in an evolving democratic Nigeria. Mr Ugwummadu maintained that the contradictions in the management of the affairs of the country “are consciously promoted through the desperation of a political elite determined to sustain the source of their economic and political powers to the detriment of the larger percentage of Nigerians. “Confronted by the colossal failure of the present political class to deliver on the promises of democracy, including the germane issues of human and sociology economic rights within the context of our operating environment, the need has arisen to subject the known principles of our own democratic experiment to serious interrogation, particularly on the principles of federalism with a view to rescuing the Nigerian ship from total collapse, hence the poser: restructuring or a functional democratic federation” he said. The conference was attended by delegates from the twenty states where the CDHR has its presence. The post Animals more secure in Nigeria than Nigerians â€” Isa Aremu appeared first on Vanguard News.